Why have a metered supply? Metering is a key factor in helping to manage the island’s water supply efficiently, as well as helping us to identify leakage and reduce waste. Customers using a meter are in control of their consumption and only pay for what they use. How much will metering cost me? The unit cost of water is detailed in our Schedule of Tariffs & Charges, a unit of water is charged per cubic metre (m³) which is 1,000 litres (approximately 220 gallons). Use the table below to estimate your quarterly metered water bill. The amounts assume an average consumption based on actual usage from a sample of our metered customers. Please note that personal consumption can and does vary widely from the average and water bills can therefore be lower or higher than the amounts shown. The table below shows the approximate water consumed by and cost of various activities around the home. Please note, actual water usage may vary. All prices are quoted exclusive of the Goods and Services Tax (‘GST’) at the applicable rate. How do I apply for a meter? If you do not currently have a metered water supply and would like to have one installed, please contact the Customer Services Department for us to assess if you are able to have a meter fitted. If for any reason we can not fit a meter or if installation is not straightforward we will contact you to discuss the options available. Cost of installing the meter? We will install a meter in your property free of charge where it is possible to do so. Unfortunately there are some properties, which cannot be metered either due to the location of the pipework, or due to the private pipework being shared by more than one customer. Where will the meter be located? Most installations will be in the roadway or pavement outside the property. Once the meter has been installed, customers will receive further information, with details on how the meter is read, billing information and water saving advice. One of our meter readers will read your meter once a quarter. You will be billed for the volume of water (in cubic metres) shown as consumed between the current and previous meter reading. Occasionally, it may not be possible to read your meter and we will estimate your consumption based on past usage levels. If your property shares a supply with other properties, (this is often the case with older blocks of flats or buildings that have been converted in to flats) we are unable to charge you for your water by a meter. This therefore creates a number of options for your consideration; depending on how you would prefer to be charged for your water in the future. Individual accounts are charged for water based on our Domestic assessed volume tariff. Assessed volume tariffs are fixed and will depend on the number of people living in the property. There are no changes to the existing water account arrangements for the property. Each account holder continues to receive their own bill. The charge for water is fixed and depends on the number of people in the property. If you don’t use much water this may not be the cheapest option. You will need to keep us informed of people moving in or out. A single water account, for the whole building replacing individual accounts. Only one standing charge means lower water bills than for separate accounts. Water charges are based on the water consumed through the meter. You only pay for the water that is used. This is ideal where the building is under common ownership. You need to agree who will take legal responsibility for the water (this is usually the owner of the freehold or the service company). You need to decide how water charges will be divided between the building occupants (they are often included in a service charge). Agreement is required from all water account holders in the building (or the building owner if tenanted). Once accounts have been combined and changed to a Metered water tariff they can’t then be split up again. 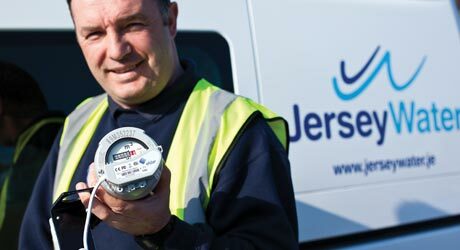 Where a building with a shared supply is re-plumbed at the customers’ expense so that each dwelling has its own separate supply, Jersey Water will provide the additional number of connections free of charge. This is at Jersey Water’s discretion and is subject to a survey of the building being undertaken. Each property receives water through its own dedicated water supply. Customers only pay for the water they consume through their meter. All plumbing and other costs associated with altering existing pipework in order to provide individual water supplies are the responsibility of the owner. Jersey Water must be consulted in advance of any works being undertaken and must agree to the provision of additional services in writing before any liability or obligation is created. All plumbing works will be subject to inspection by Jersey Water.